Now that you’ve set the date for your dream wedding, it’s time to start planning. One of the all important items for your wedding day is, of course, the wedding cake. So, before you get your heart set on a particular style or finish for your perfect wedding cake, here are some things you need to consider. When you meet with your cake maker and decorator to design your perfect dream wedding cake, you should take along all photographs or drawings of what your ideal wedding cake is, even if you like something on one photograph and something else on another. This will give your wedding cake designer a good idea of what you want for your dream wedding cake. You should be aware though, your wedding cake ideas may need to be modified depending on, e.g. the venue and/or season, number of guests and whether you are serving your wedding cake as a dessert/coffee serve at the wedding reception or gifting a slice to your guests to take home with them. As mentioned above, the venue and season are very important considerations in determining the finish of your cake. If the venue is a garden or marquis wedding, or a venue with no air conditioning and your cake is decorated in chocolate or buttercream or the like, you may run the risk of your cake decorations melting, particularly in the warmer months. Another consideration in relation to the venue and season is the transportation of the cake. Depending on where the venue is and what season it is, just getting your dream wedding cake to the venue may cause a tricky problem. Equally important is the number of guests attending your perfect wedding day if you are serving portions of your wedding cake as a dessert or coffee serve, or a gift for your guests to take home. This is something you definitely need to discuss with your cake maker, after all, no one wants to run out of cake!! Just as a rough idea, if you are serving portions of your wedding cake a dessert serve, this serving portion is larger than a coffee serve. 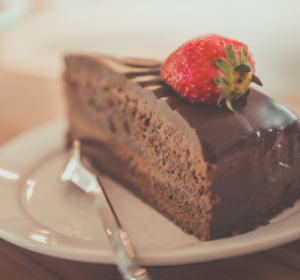 A coffee serve is approx 2.5 cms wide and one cake layer in height (sometimes a cake tier may contain more than one layer of cake). It has been a tradition for the happy couple to keep the top tier of their wedding cake for their all-important first wedding anniversary. 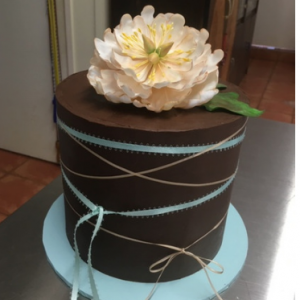 If this is something you would like to do, it is important to discuss with your cake maker and decorator in the cake design process. It would be devastating if this tier was served to your guests instead! Also, the cake type, style and finish may need to be considered as you will need to freeze this top tier to ensure its freshness in 12 months time. A more modern take on the traditional anniversary tier is, rather than keeping the top tier for their first wedding anniversary, the happy couple may choose to share this special top tier with family and close friends following their wedding. This is becoming a more popular trend, rather than having to keep the top tier of your wedding cake frozen until your first wedding anniversary. 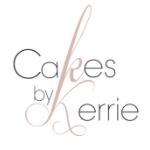 There are many different flavours of cakes for you to consider when choosing your wedding cake, including fruit, caramel, red velvet, chocolate or white mudcake (gluten-free option available). If you prefer, other flavours can also be added to your mudcake, e.g. orange essence or Kahlua to a chocolate mudcake, or lemon essence to a white mudcake. These extra flavours are certainly on trend at the moment. 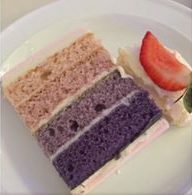 If you are serving dessert and then your cake, you may want to choose a different flavour from your dessert. If you need a dense cake to support a fondant finish, for example, a mudcake or traditional fruitcake might be a good option. It’s very important to discuss this with your cake maker and decorator ahead of your first meeting so that you can taste test the different flavours. After all, your cake should not only look amazing but taste sensational as well! There are so many different ways to cover your wedding cake. You could choose naked, semi-naked with buttercream or similar, chocolate ganache and fondant. Cakes covered with ganache and fondant will stay fresher and last longer as they are completed sealed. All the products used to cover the finished wedding cake can be coloured to suit your imagination and style or compliment the wedding theme and colours. Again, your wedding cake maker and decorator will help you achieve the colour and finish of your wedding cake. As with Finishes, there are so many different ways to decorate your wedding cake. 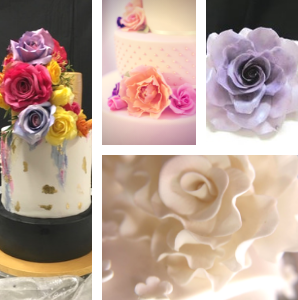 For example, if you have chosen a fondant finish for your wedding cake, you can use an impression mat to make a pattern; a stencil with royal icing; an edible lace and/or an edible image; apply silver or gold foil; paint the cake with edible colours and lustres, add edible pearls and/or ribbon trim to compliment your wedding attire or venue decorations; fresh, artificial or handmade sugar flowers – see flowers . Adding cake toppers is another option or script cutouts. These can be purchased from your cake decorator or from a supplier of your choosing. The options are endless. 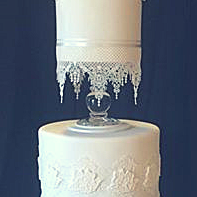 Your cake maker and decorator will be able to work with you to achieve the ultimate look for your dream wedding cake. Here you are at the all-important finishing touches. There are many different types of flowers you can use on your wedding cake: fresh, artificial, pre-made sugar flowers, or handmade sugar flowers. Your cake decorator will be able to show you examples of these flowers to make your choice easier. 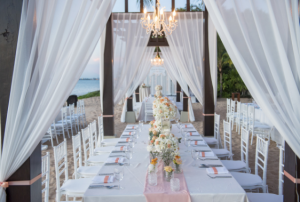 As mentioned above in Venues and Seasons – see venues and season, the weather and venue can play an important role in your choice of flowers. 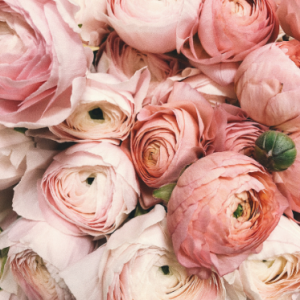 Fresh Flowers: If you are planning on using fresh flowers, you should know the heat can affect your fresh flowers and they may appear wilted and spoil the look of your wedding cake. These fresh flowers should be placed on your wedding cake, irrespective of finish, immediately before the wedding reception. If your wedding cake has a buttercream finish and you are using fresh flowers, the flowers can be placed on your wedding cake and then refrigerated until required. Most importantly though, you would have to ensure your fresh flowers have been washed and cleaned prior to being placed on your wedding cake as they could have been sprayed with a chemical spray, or been sitting in stagnant water, or they may have been taken from a diseased plant. The last thing you want on your wedding cake is fresh flowers that may taint your perfect wedding cake and make you and your guests ill. Artificial Flowers: A very trendy option is silk or silicon flowers, which are widely available, come in many gorgeous colours and styles, and make stunning flower arrangements on your wedding cake. The beauty of artificial flowers is that they can be made and placed on your wedding cake in advance, are not affected by choice of venue or heat, and remain looking fresher throughout your wedding and reception. Artificial flowers are a great choice for a garden or marquis wedding. Premade sugar Flowers: Many different flower options are available in premade sugar flowers. These wedding flowers are a manufactured flower and can be a less expensive option than the handmade flowers. Handmade Sugar Flowers: These flowers are made with flower paste and are very delicate. The effect of these handmade sugar flowers can be very striking on your wedding cake. However, the choice of venue and the temperature may affect these gorgeous flowers. You would have to discuss this option with your cake maker and decorator as they can be a more expensive option, due to the time it takes to make them. This is the all-important question really, let’s face it. How much will it cost? How long will it take? Price: This is a very difficult question to answer. Obviously, it is dependent on the options you choose and can range from $200 through to well, thousands of dollars really. This is something you will have to discuss with your cake maker and decorator once you have your final design in place. Timeline: The best way to ensure everything is perfect for your wedding day, is to at least begin looking for your cake designer around about the same time you book the venue. If this is not possible, as a rough guide, you would need to meet with your wedding cake maker to book your wedding cake in, at least a few months prior to your wedding day. That way your cake designer has plenty of time to create your perfect wedding cake.